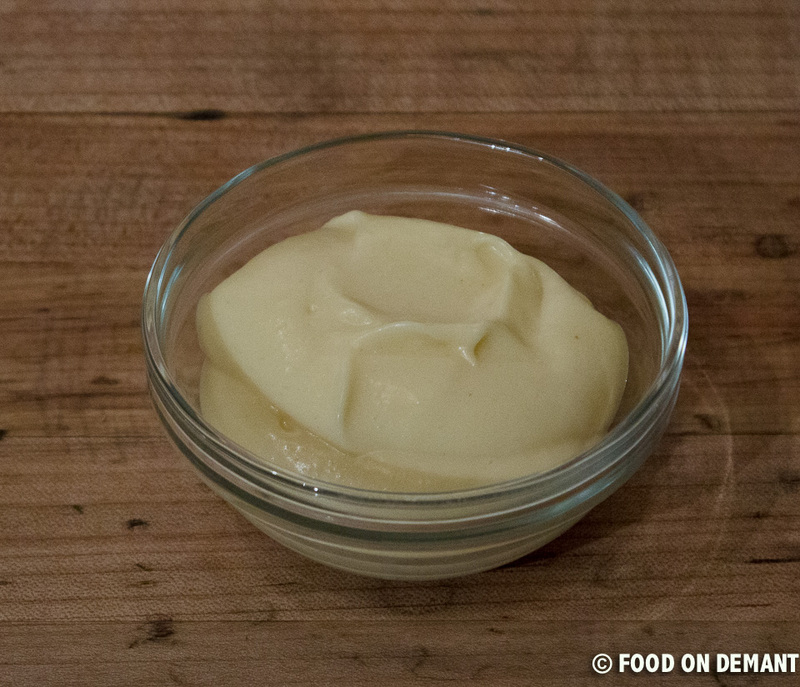 Mayonnaise – simple, easy, delicious and without additives! Mayonnaise – who doesn’t use mayonnaise at least once in a while? Well, we use many almost every day as a sandwich spread, in cold dressings or as a condiment for tapas dishes. For years I bought my mayo, mostly because I didn’t realize how easy it was to make myself. Then one evening we were having friends over for dinner and to my horror I realized that I didn’t have any mayo for the salad dressing I had planned to make, and I didn’t have time to go the grocery store to buy some. So what to do?? Well, I looked in the fridge and all my cabinets for an alternative and what I found was egg yolks, mustard, vinegar and vegetable oil and there the case was set – I needed to make my first mayo and I was in a hurry! Of cause our guests turned up in the middle of my mayo-miracle and everyone stood there in the kitchen looking at me while I slowly but confidently poured oil into the egg mixture and created my first and very successful mayonnaise. Mix together egg yolk/egg stir, mustard and vinegar in a medium-large bowl, using a stand mixer, hand mixer or a whisker if you feel like getting some overarm/shoulder exercise. Using my KitchenAid I have on speed 6 during the entire process. If you use a regular whisker, try to keep the same whisking speed all the time. If you get tired (which you will, making large portion like this) you can have a break or two, just remember not to leave any excess oil on top of the mayonnaise while you arm is recovering. Incorporate the oil and then take a break. Keep on mixing while you slowly pour in the vegetable oil. 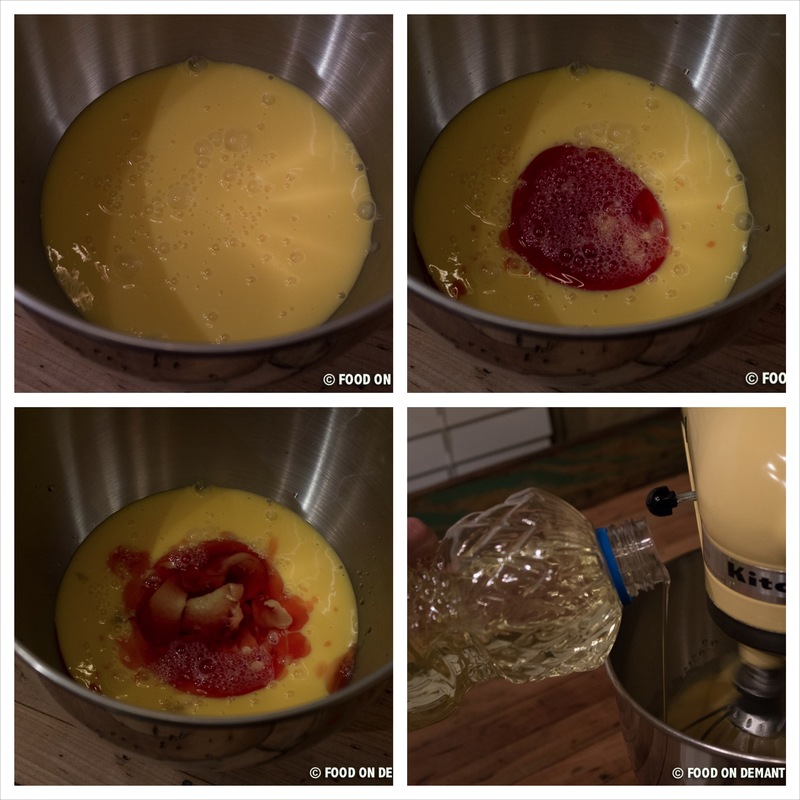 If you get too much oil into the mixture at one time the eggs cannot absorb the oil and you will ruin the mayonnaise. So it is better to take a few more minutes and get the exact right consistency instead of ruining the entire mayonnaise. As you pour in the oil and mix you see the mixture thicken and turn in to a lovely an light mayonnaise. Towards the end of the process you might find it difficult to incorporate the remaining oil. 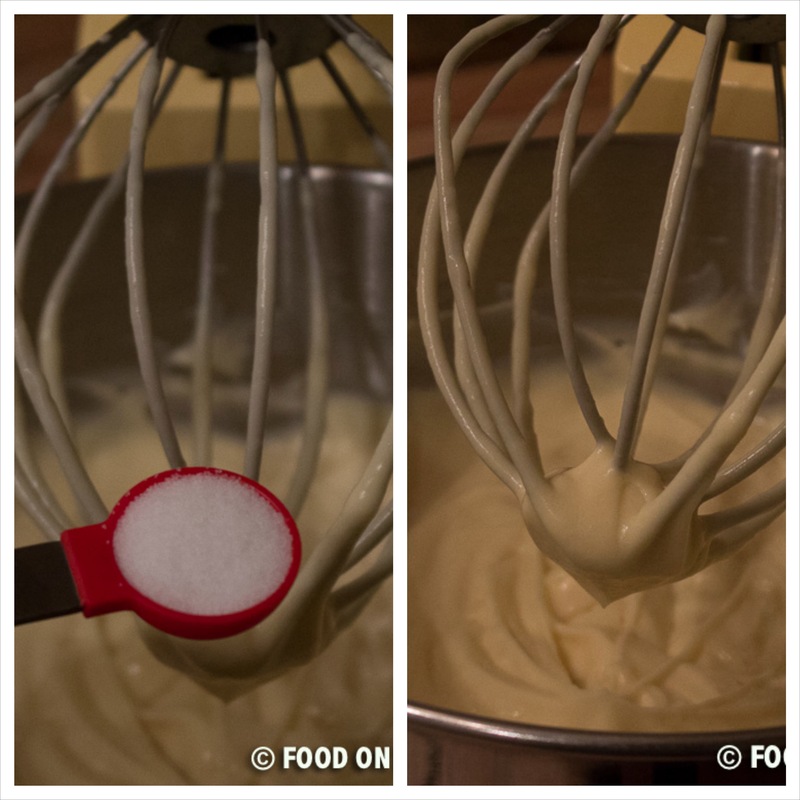 If you feel that the mayonnaise has the right consistency, stop pouring in anymore oil. If you want it a little bit thicker you can take finish off the process with a regular whisker, making sure that you get all the way around the edges of the bowl. Add 1 tsp. of sat at a time until you have the wanted taste. Transfer the mayonnaise to air tight jars (I use Mason jars) and store in the fridge for up to 4 weeks.